The holidays are a great excuse for gardeners to spruce up the inside and outside of the house with a little bit of help from Mother Nature! With a few simple materials from the yard and a dash of creativity, you can personalize your home just in time for your next festive gathering! We’ve searched the web for the best of garden wreath DIYs. Below you’ll find a collection of fabulous and easy projects perfect for gardeners! Collect some Evergreen branches and pinecones, spray-paint white, and you’ve got a lovely, snow-inspired wreath. Finish it off with a bright bow for a pop of color. This Better Homes and Gardens project is super simple. An indoor fern plant can become a gorgeous wreath with this Martha Stewart DIY. You’ll need a sphagnum moss-covered wreath form and full fern plant that you can divide into sections, leaving roots attached. 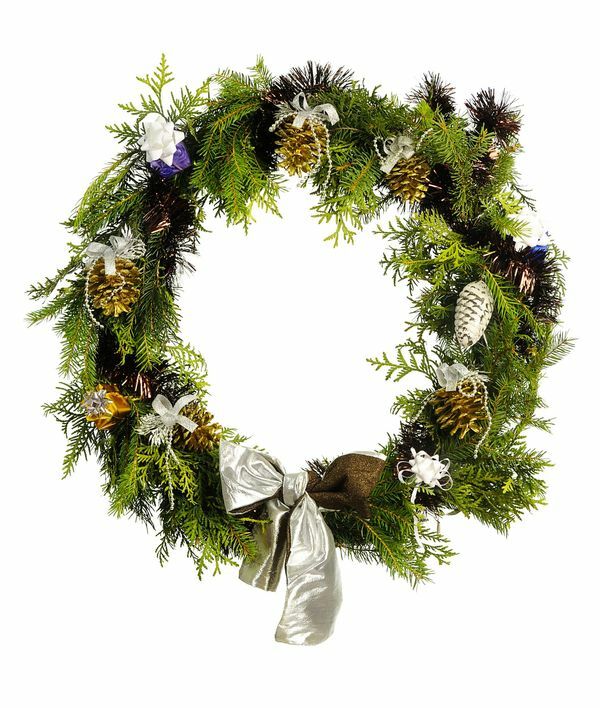 The wreath can be hung in your home and will just need an occasional mist to stay vibrant and green! Here’s another non-traditional take on the Christmas wreath. Make moss the focal point of a square-shaped wreath made from floral foam. See an example from Midwest Living here! Herb gardeners, take note! You can make a wreath by grouping together your sage, oregano, rosemary and/or bay leaves as shown in this Country Living project. Got acorns scattered around the yard? Gather them up and attach them with glue to a simple straw wreath. Paint the acorns to spice things up, suggests iVillage. For this project you’ll need deep red, red and white berries along with Evergreen branches. Get out your garden shears and gloves, and follow the easy instructions on this Real Simple video to make a beautiful holiday wreath that fills your home with color!